The ultimate gift guide for ANY photographer. From the darkroom traditionalist to the millennial phoneographer these are my top picks for the photographer in your life…even if that is yourself. All Amazon linked gifts are affiliate links. This means if you purchase with that link, a small percentage will go back to me. That said, I always clearly state what products I have or use! For the old school traditionalist in your life buy them a cyanotype kit. A traditional form of capturing light that produces breath taking blue photographs. You will need the formula and some watercolor paper and an old brush! For the DSLR professional, or really anyone with a DSLR grab them a few of the essentials. If they are anything like myself and other photog friends they lose their lens caps all the time. Make sure you know the type of camera to best match it up. I have found the off brand packs work just fine since I am often misplacing them. Throw in a 32GB SD card as well…because we ALWAYS need those. For the phone photographer you have a couple budget picks since gear tends to be cheaper for the phone. The Gorilla Pod will take their photograph to the next level and is something I always travel with. For a stocking stuffer or add on, phone photographers could always use a nice cleaning cloth to have in their bags for the lens. For the old school traditionalist who may be looking to branch out I have two options. The first is a custom built pinhole camera. Go to my friend Don Pyle’s Flickr website and send him a message. His work is gorgeous. For the DSLR owner I also have two options. If they are looking to branch out and seem to have “everything” consider purchasing a drone. Drone photography is on the forefront of the industry right now and can take their portfolio to the next level. A great starter drone would be the Mavick Pro. If they don’t have everything and perhaps are just starting out, every photographer needs a versatile and durable camera bag. I recommend LowerPro as a brand and have linked a personal favorite below. Most importantly, here are my top picks for the phone photographer. The first is a RetiCam tripod mount for the camera. It is a metal heavy weight mount and would pair nicely with a gorilla pod or any tri pod they already have. I can truly trust this mount to hold my phone on the ski lift or over the edge of a skyrise. Second choice is to purchase your phone photographer some Moment Lenses. Moment is a superior company with high quality glass and lenses that allow your phone photography to be comparable to a DSLR. I would never go back and currently own all four of their lenses. Do not forget they need to have the Moment case as that is how you mount them to your phone. Lastly, something I do not own but seriously covet and may purchase for myself is a professional gimbal. If your phone photographer also shoots or makes any sort of video this is a purchase worth making. Since I started my On the Road video series I 100% see the need for this. Based on YouTube reviews (and the fact that they have a counterweight for Moment lenses) I recommend the DJI Mobile gimbal. 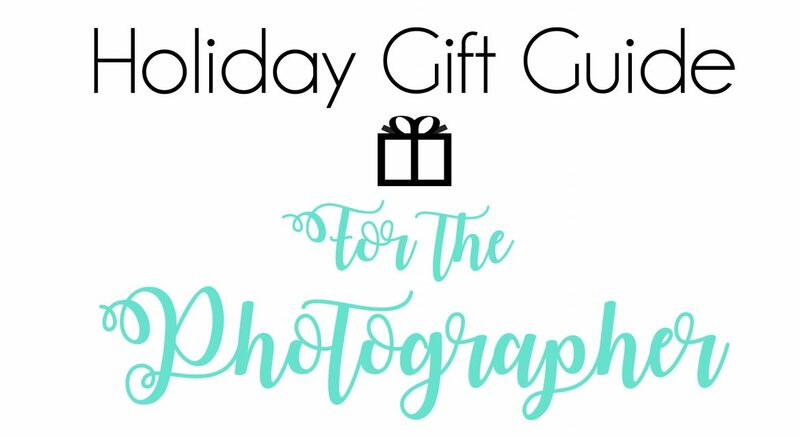 For all photographers here are some cute items to use as stocking stuffers or for small treats to find under the tree.